Typically if you find yourself in Hong Kong between residences visas, the only immigration status that tends to be available to you as you move from one period of residency into another period of residency, is a visitor visa. And this question really gets to the heart of the possibility of any time spent in Hong Kong between residence visa periods of stay spent as a visitor, will that time spent as a visitor break your continuity of residence for the eventual right of abode application seven years down the road. 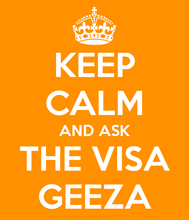 Well the bottom line is that, if you move through from one residence visa through to another residence visa, as long as the time spent in Hong Kong as a visitor results from a state of what I’ve termed ‘administrative flux’, where it can be objectively said that you haven’t abandoned your residency in Hong Kong, whilst you attempt to reorganize your life circumstances so that you can re-establish yourself with a residence visa once again. As long as any time in Hong Kong spent as a visitor is between residence visas in a state of administrative flux then, in my experience, Immigration Department do not hold that time spent as a visitor against you, allowing you to break your continuity avoiding residence, unless it’s for a manifestly long period of time all things considered. So in your situation, if you’ve been here as a training visa holder for a year, with the expectation on a training visa by the way, that you’re going to leave Hong Kong once your period of training is up, that you’ve been allowed to remain in Hong Kong to complete that training and take the value associated with that training back to your home country. Given that the training visa regime anticipates a return back to your home country, if you’ve now subsequently determined that you wish to remain in Hong Kong, you’re going to leave the employee engagement to the party that is extending the training to you and then seek to join the local workforce, whilst it’s certainly possible for you to go out and find alternative employer, submit and application to adjust your status from visitor through to employment and thereby getting a new residence visa again. If you find that’s several months are passing, in the interim before you’re able to secure a job offer and get to a residence visa again, it is possible after two or three months possibly even more, that your continuity of ordinarily residence will be broken in your circumstances simply because you came to Hong Kong temporarily in pursuit of training, effectively made an undertaking at the end of that 12 months that you would leave Hong Kong. If you decide to adjust your status, to apply to adjust your status through to employment once again, then that application is expected to kind of occur immediately, consecutive to your previous residence visa situation. And as I said, the longer you leave it and the longer you stay in Hong Kong as a visitor, the more likely the Immigration Department will hold it against you hard and fast come the seven year mark. So get your skates on, basically that’s what I’m saying and don’t anticipate that anything longer than three possibly four months will hold you in good stead because in my experience, in your situation with only one year prior residence on a training visa, I suspect the Immigration Department might conclude that the time spent as a visitor in the wake of your expiry of your training visa could have broken your continuity of ordinarily residence. Ok, I hope that helps.